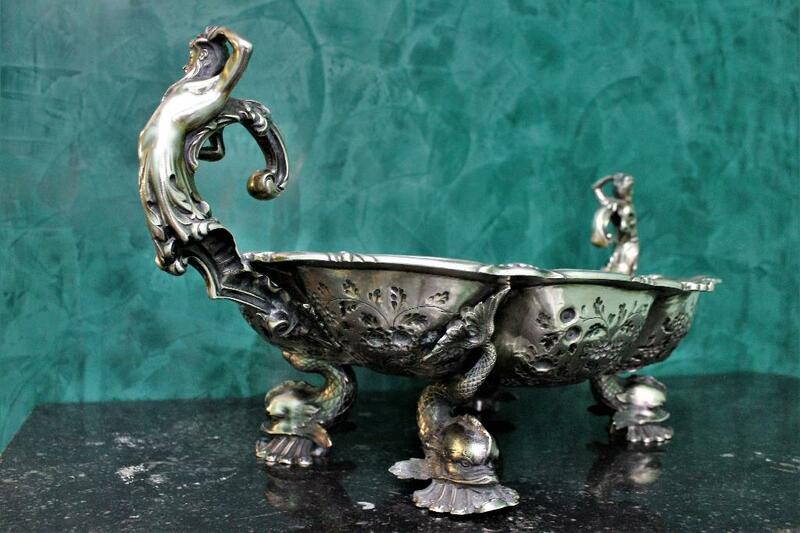 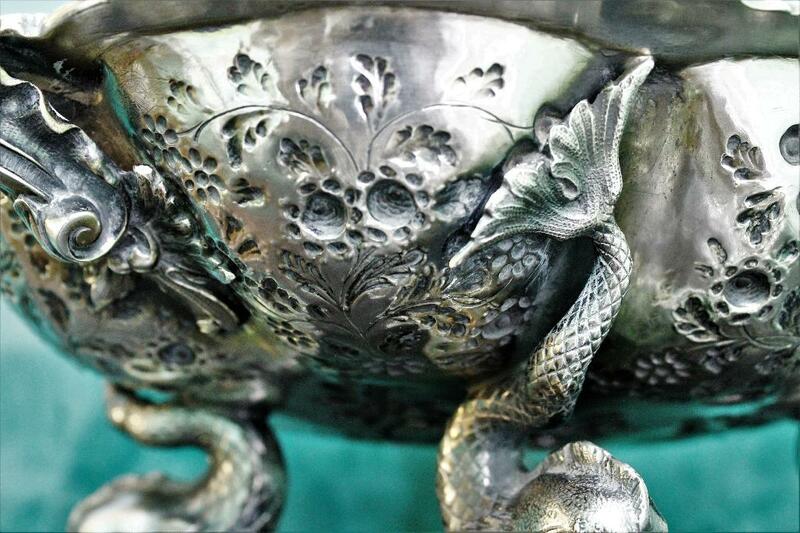 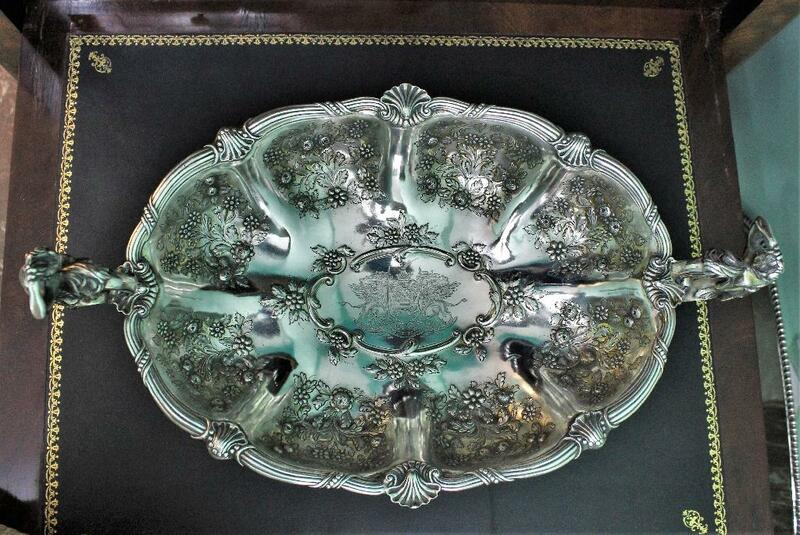 Silver Rococo centrepieces realized by Robert Garrard Senior in his workshop in Panton Street, Haymarket, London in 1804. 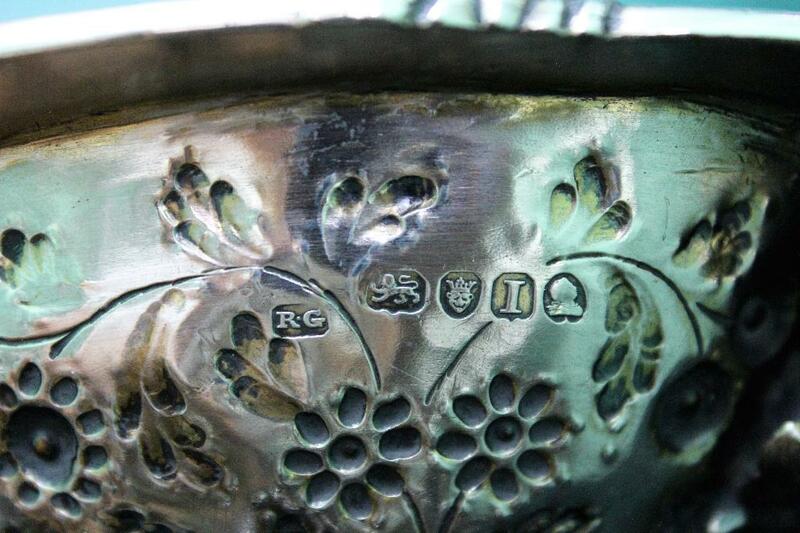 Rober Garrard was active there from 1802 until 1818, then his sons succeded. 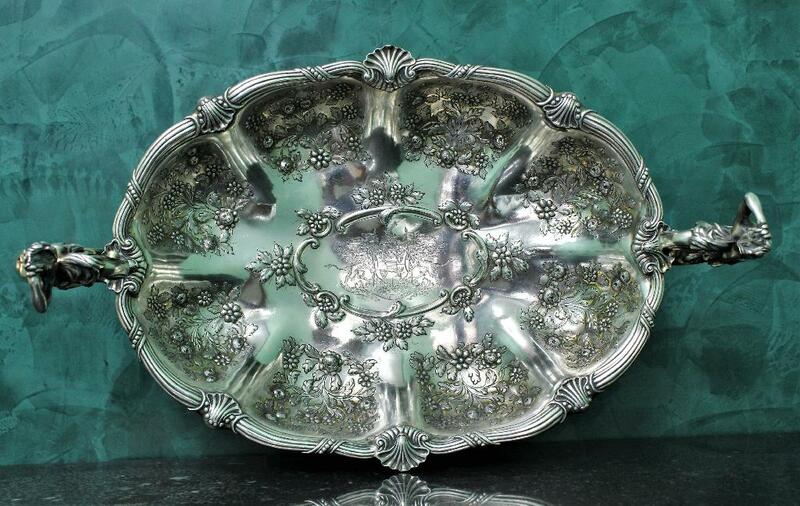 Oval shape, entirely hand embossed and engraved with leaves and flower motives. 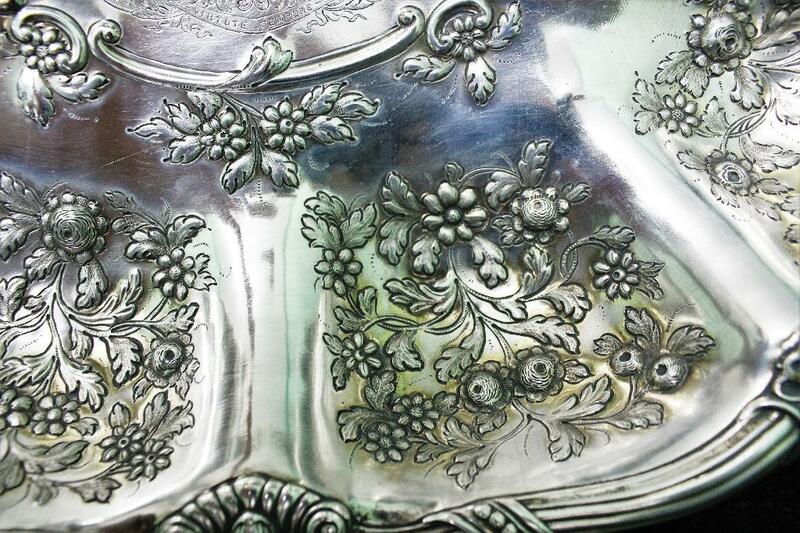 Hold by four cast fish shaped feet, later worked and engraved by hand. 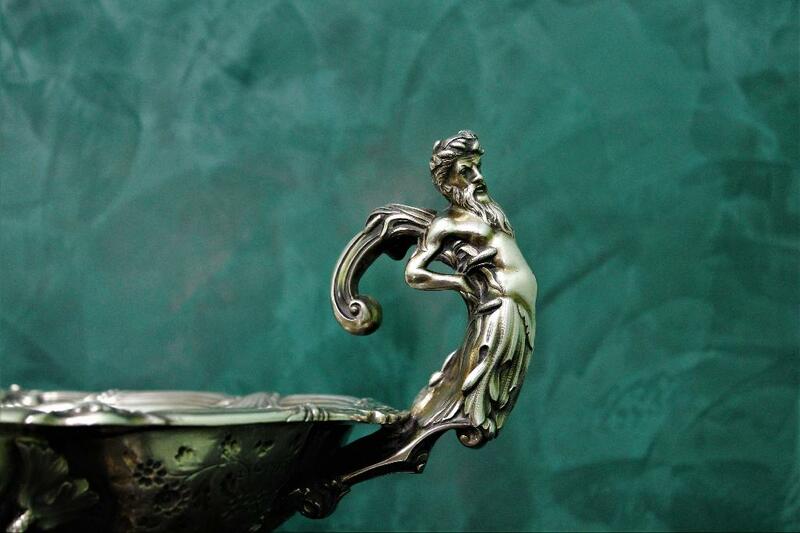 On the sides of the centerpiece stand out against the base two cast handles, more precisely two sculpture of man looking at the horizon like on a vessel's bow. 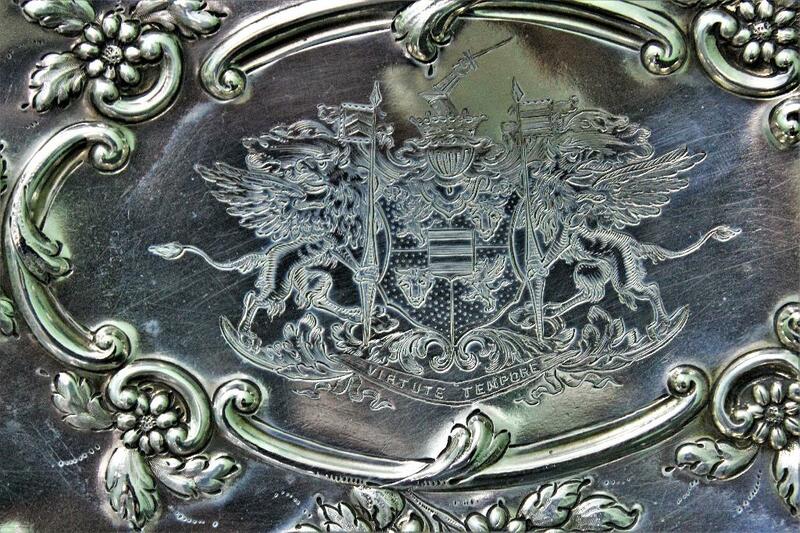 Engraved in the centre with a coat of arms which reports the Latin motto: VIRTUTE TEMPORE, which means "courage and time"
Very beautiful and rare centerpiece by a master silversmith as Robert Garrard Senior, the starter of the company that one day under the management of his sons would have become official Crown Jeweller of Queen Victoria. 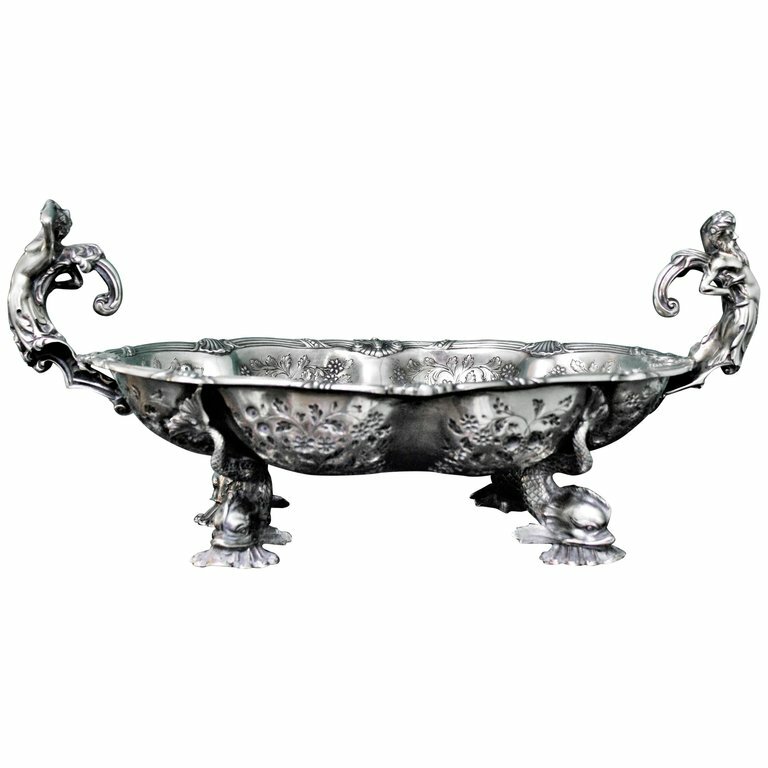 Dimensions: 47.5 x 28.5 cm - H.21 cm - Weight.2.510 gr.